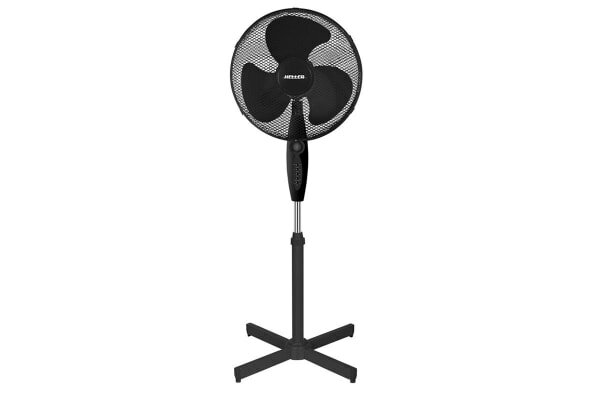 Sleep easy throughout those warm summer nights with the cool relaxing breeze of the Heller 40cm Pedestal Fan with Remote. As much as we love the warm summer weather, sleeping throughout those scorching hot nights can be rather sticky and uncomfortable. The solution? A remote powered Heller 40cm Pedestal Fan! The Heller fan sends a cooling sensation throughout all directions of your indoor spaces with 3 powerful blades partnered with a tilt adjustable oscillating head. Without breaking a sweat, you can use the remote to choose from 3 different speed settings all from the comfort of your own bed.